Flash floods and mudslides triggered by days of torrential downpours tore through mountainside villages in Indonesia’s easternmost province, killing at least 50 people and injuring 59 others, disaster officials said Sunday. 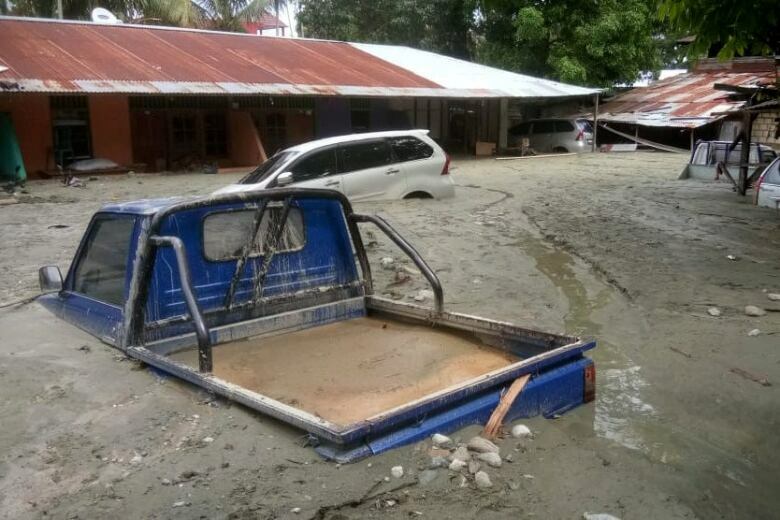 The disaster in Papua province’s Jayapura district submerged hundreds of houses in neck-high water and mud, said National Disaster Mitigation Agency spokesperson Sutopo Purwo Nugroho. The floods and slides also destroyed roads and bridges, hampering rescue efforts. Nugroho said 50 bodies had been pulled from the mud and wreckage of crumpled homes by Sunday, and another 59 people were hospitalized, many with broken bones and head wounds. The dead included three children who drowned after the floods began late Saturday. He said the number of dead and injured will likely increase since many affected areas have not been reached. Papua’s provincial administration has declared a two-week emergency in order to get assistance from the central government. Papua military spokesperson Col. Muhammad Aidi said rescuers managed to save two injured infants who had been trapped for more than six hours. The parents of one of the babies were washed away and died. 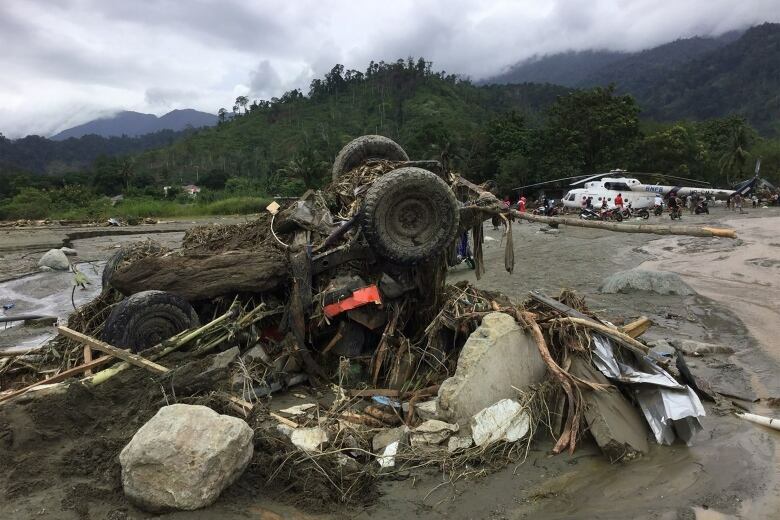 Worst hit was Sentani subdistrict, where a landslide early Sunday was followed minutes later by a river that burst its banks, sweeping away residents in a fast-moving deluge of water, heavy logs and debris, said the local disaster mitigation agency head Martono. Martono, who goes by a single name, said rescuers have been evacuating more than 4,000 to temporary shelters. Television footage showed hundreds of rescuers and members of the police and military evacuating residents to shelters at a government office. Ambulances and vehicles were seen carrying victims on muddy roads to several clinics and hospitals. Meanwhile, around 35 foreign and domestic tourists are believed to be trapped and two others died after landslides hit a waterfall site on Indonesia’s tourist island of Lombok on Sunday, a disaster agency official said. Search and rescue efforts have only managed to evacuate three of the 40 and two were found dead, Rum said.